There may be 101 “so called” ways to lose belly fat, but let’s be honest; how much of that will actually work even if you tried it all. 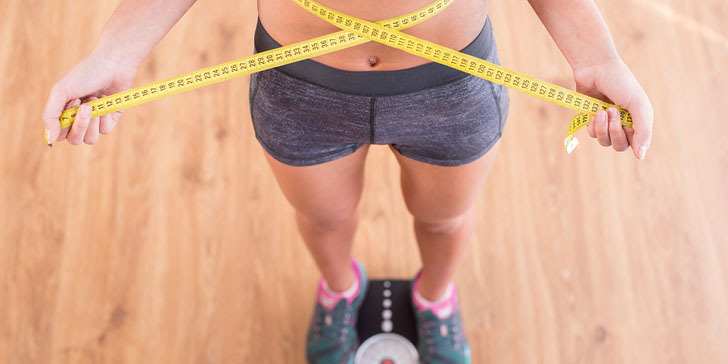 It’s much easier to remember these 7 scientifically proven ways to lose belly fat that you can start today to see results day one. 1. Get in the Fat Burning Zone! High Intensity Work-Outs are scientifically proven to help you burn belly fat, especially the unhealthy fat known as visceral fat which accumulates around the organs of your stomach (1, 2, 3). High Intensity Work-Outs are a combination of aerobic and anaerobic exercises that stimulate your large muscle groups. This would include exercises such as sprinting, jump squats, or cranking up the resistance on your favorite exercise machine and pushing with all you’ve got. Moderate Intensity Work-Outs have been scientifically proven to help burn belly fat too. Clinical trials reveal that Moderate Intensity exercises such as Stair Climbing or Cycling at a manageable resistance actually maintains a higher level of fat oxidation over time than do High Intensity Work-Outs. This surprising evidence appears to be due to decreased fatty acid delivery to exercised muscles during higher intensity workouts (4). Alternatively, High Intensity Interval Training or (hiit), which is a combination of both Moderate and High intensity exercises are easier to perform yet still maintain a consistent fat oxidation level. The key is that you are switching from high to low intensity, so you get a quick rest which allows you to keep going and to keep burning fat. hiit can be done by doing short bursts of intense exercise followed by moderate aerobic exercises in between. For example, you could do a 60 second sprint by running in place at full speed followed by 120 seconds of jumping jacks at a moderate pace. 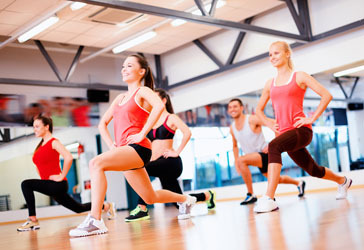 It can be fun to mix and match your favorite High Intensity and Moderate Intensity moves. This is also a great way to keep changing up your routine. The biggest plus for doing hiit is that it takes a short amount of time and you’re done. Not having enough time is one of the top excuses people use for not starting an exercise program. While short 15 to 20 minute hiit workouts are less time consuming, they may not be suitable for everyone because they can be challenging to perform. It may take time to reach this level of fitness so you want to check with your doctor before jumping straight into hiit. Luckily, moderate intensity workouts for a longer duration (30 – 60 minutes) 4 times a week or even lower intensity work outs like briskly walking, when done consistently at least 4 times a week for 50 – 70 minutes will still help burn off belly fat (6). The main goal when exercising to lose belly fat is to get your heart rate up to between 60 to 70% of your target heart rate. Your target heart rate is based on maximum heart rate at 100% and your age. 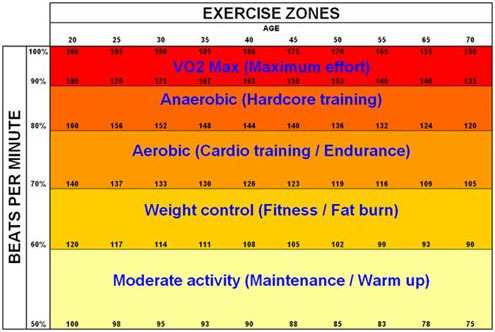 Then multiply your Target Heart Rate by 0.6 and 0.7 (60% and 70% of target heart rate) to get the optimal fat burning range as illustrated in the exercise zones diagram below. 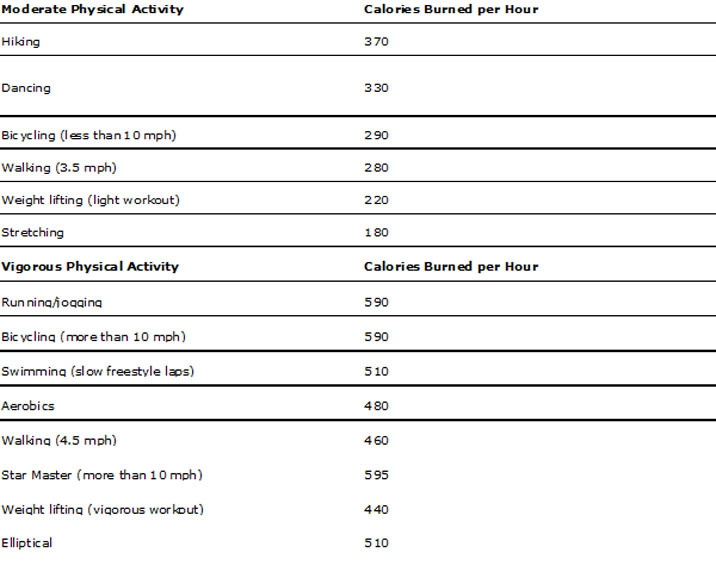 Thus, the optimal heart rate zone for fat burning for a 35 year-old person is from 111 to 130 beats per minute. If the heart rate stays within this range during exercise or training (on a treadmill or exercise bike etc.) fat burning efforts are maximized. Even if you chose walking you can make a dent in the number of calories you burn in a given day, but the best way to lose belly fat is to briskly walk more than 4.5 mph. Brisk walking will ensure you get your heart rate up into this target zone. Brisk walking will ensure you get your heart rate up into this target zone. Any additional intensity you can add to your workout will certainly help you lose belly fat faster. Yet as you can see, the more vigorous (high intensity) exercise it’s not entirely necessary for fat burning, but it does speed things up. Keep in mind however vigorous exercise has the added benefit of helping with endurance and cardiac performance. In summary, the higher intensity interval work-outs burn more calories in less time while also improving endurance, insulin sensitivity, and cardiac performance in addition to maintaining lean muscle mass. However, if you cannot perform at this level, you can still burn calories at a lower intensity level to lose weight. 2. Create A Caloric Deficit! To understand this, one must first understand what a resting metabolic rate is aka (rmr). This is the amount of energy (calories) that a person’s body needs to sustain itself. This amount of energy is used for digestion, breathing, thinking, internal metabolic processes, and cell repair. Next the body also needs energy to perform the task you tell it to do, such as walking, talking, and exercising. When a person eats an excess of food… providing more calories than is needed to function or perform tasks… those calories get stored as fat. The only way to get rid of the fat is to create a need for the energy stored in those fat cells to be converted back into energy (fuel). To create a state where energy is leaving the fat cells, thereby shrinking the fat cells, a person would have to consume fewer calories than necessary to maintain their specific rmr. Note: (Exercise is not included in this example). Exercising on top of diet burns even more calories. A 50 year old female is 5 ft 8 inches tall and weighs 230 lbs. Her ideal weight is approximately 150 lbs. That means she needs to lose around 80 lbs. Exercising on top of diet burns even more calories. Her rmr requires 2,050 calories yet she eats 2,800 calories per day… well over her rmr. She does not follow an exercise plan. She will reduce her caloric intake by 100 calories daily every week starting from cutting 200 calories per day for the first week. Week 7: 2,800-800= 2,000…Here she has reached a caloric deficit because 2,000 calories is 50 calories less than her rmr which is 2,050. Therefore there is a caloric deficit of 50. Week 8: 2,800-900=1,900…This is a 150 calorie deficit. Losing 2 lbs a week is the maximum recommended weight loss that is considered safe. Caution: Females should not be going below 1200 calories a day. Additional exercise should always be factored in as well. Plus it isn’t safe to cut all your calories at once. If you go too fast you will feel dizzy and very hungry which may lead to you fainting, overeating, or giving up from adverse effects. It isn’t safe to cut all your calories at once. As you continue a caloric deficit, your rmr will also decrease, and your hunger will slowly calm down. As you lose weight it is imperative that you recalculate your rmr so you know how many calories to eat each day. In summary, gradually eating less until you create a caloric deficit will help you convert belly fat into energy until you are down to your ideal body weight. Exercise burns calories in addition to cutting calories from your diet, therefore you should account for calories burned during exercise when performing your calculations. 3. Eat Foods That Help Burn Fat! The type of calories you consume is also important. Although there is much debate about whether calories are the same no matter what source they come from (the calorie is a calorie theory)… one thing is for sure, all foods are not created equal when it comes to nutritional value or fat burning potential. Here are some foods that help you lose belly fat. Oats: Eating whole grain oats is a great way to fill up and they are scientifically proven to help you lose belly fat (7). Grapefruit: Grapefruit is low in calories and high in fiber, which fills you up and helps you lose weight. They also help reduce insulin and improve cholesterol (8, 9). If you are on any medications, check with your pharmacist before eating Grapefruit. Green Tea: Green tea helps reduce belly fat when coupled with moderate exercise (10). Some studies even indicate that Green tea alone can help with weight loss (11, 12). Kale: Kale is high in nutrients and low in calories. Kale is considered a low energy density (water-rich) food which studies have shown to aid in weight loss (13, 14). Red Peppers: Red Peppers contain capsaicin which has been shown to help with fat loss (15). Berries: Berries contain vitamin C, fiber and antioxidants which all help reduce belly fat (16, 17). Vinegar: Studies indicate that adding Vinegar to your diet (such as a tablespoon of vinegar on your salad) helps you lose weight by reducing the glycemic index load of carbohydrate meals (18, 19). Types of vinegar include strawberry, apple cider, white, and others. Proteins: Proteins fill you up and help with weight loss, and you’ve probably heard that eating more protein and cutting back on carbohydrates is the way to go to lose weight. This is partly true. However studies show that proteins (from animal sources only) can cause problems with the kidneys (20). Splitting your protein intake between animal and plant sources is a great way to minimize the negative effects of animal proteins. Avocados: There is such a thing as good fats, and avocados are a great source for good fats. Avocados contain essential fatty acids, fiber, potassium, magnesium, antioxidants, Vitamin K, B vitamins, carotenoids, phenols, and phytosterols. For weight loss, they help you stay full which prevents overeating and accumulation of abdominal fat (22). In summary, eating healthy foods that contain protein, fiber, antioxidants, vitamins, water-rich content, capsaicin, and whole grains can help you lose belly fat. Foods that are not rich in nutrients are just empty calories … especially foods that are high in saturated fat, refined carbohydrates, and added sugar. Eating the right calories provides your body with fuel it needs to burn fat. 4. Manage Food Cues and Cravings! Before you get ready to hear that you need to swear off all kinds of sweets, fast food, and carbohydrates, you’ll be surprised to hear that studies indicate that denying yourself of certain foods can actually make you think about and crave them even more (23). When you decide to diet, of course it’s a good idea to limit sweets, fast food, and carbohydrates, but trying to eliminate them all together may be too much of a drastic move if you’re a beginner. You could end up thinking about that candy bar all day long until you can no longer bare it. Then once you do give up and eat the candy bar you feel terrible and defeated. This is why it’s much better to allow yourself small pleasures in limited amounts. When cravings strike, just have a little of what you want instead of eating a lot. Also before you eat what you crave, try having something filling and healthy, like a bowl of oatmeal, so you don’t overindulge. Over time you will learn to notice your food cues and think of substitutes that will quench those cravings for sweets and fast food. For instance, strawberries mixed with oats are a good substitute for Lucky Charms. In summary, don’t fret over what you can’t eat because it could cause you to have more cravings and food cues. Instead when the craving arises learn to manage it by limiting the amount of unhealthy food you eat. One of the reasons why belly fat accumulates is because of lack of exercise. Lack of exercise is often due to lack of energy. When you don’t get enough sleep you are bound to feel tired. In addition to lack of energy, studies have shown that just the act of sleeping an appropriate amount of time (7 to 8.5 hours a night) will help you lose weight (21). Not only did the participants in this study lose weight, they had fewer cravings for sweets and salty foods, and more energy and willingness to work out. If you are on an exercise routine, then it’s a good idea to get enough sleep so your body has time to recover and repair sore muscles. In summary, sleeping an appropriate amount of time increases your energy level, repairs sore muscles, prevents cravings for sweets and salty foods, and helps you lose weight. The real issue that I want to address is how knowing these 5 scientifically proven facts will do absolutely nothing for you unless you consciously use them. 6. Reduce Your Sugar Intake! Excessive added sugar intake has become a way of life in many parts of the world, especially in Western society. People are choosing to eat candy, cakes, chips, and cookies as snacks instead of fruits, nuts, and vegetables. This excessive sugar intake also includes the eating of white bread, donuts, croissants, bagels, pizza dough, and the like. These carbohydrate items, typically made from highly refined starches, act very similar to “added sugar” in the body. The types of carbohydrates that are best for you come from whole foods that are not highly processed. Whole foods, such as whole grains, fruits, vegetables and legumes, contain natural sugar (glucose) but they also contain fiber, minerals, vitamins, enzymes, and beneficial phytonutrients that offset any negative metabolic effects, namely fat storage. In summary, added sugar and processed refined carbohydrates that simulate added sugar in the body can lead to weight gain. One proven way to lose belly fat is to reduce sugar intake from unhealthy sources such as candy, soda, and white bread, and instead eat whole foods that are rich in fiber and nutrients. Protein plays a huge role in getting rid of belly fat, and it does it in several ways. First, eating enough protein can help control your appetite. Proteins keep you full longer than do carbohydrates or fats, so you automatically eat fewer calories over the course of the day. When you lose weight you want your body to burn up fat, not muscle. The more muscle you keep, the better your body looks and performs. So rather than getting all your protein from animal sources get some from plant-sources such as quinoa, beans, and nuts as well. An average protein intake is between 46 to 75 grams for females, and 56 to 91 grams for males. This is based on having 0.6 grams of protein per pound of body weight. Weight lifters and athletes typically require more at 0.65 grams per pound of body weight. 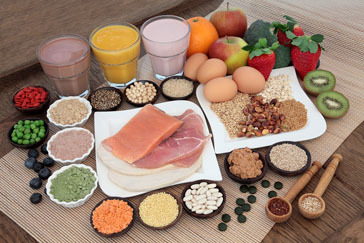 In summary, eating more proteins as part of your daily caloric intake can help you lose belly fat. Proteins keep you full, so you eat fewer calories; have better appetite control, and less food cravings. Proteins also boost your metabolism and help preserve muscle during weight loss. The type of Mind-Set you have is really the number one determinate of whether you will be successful at getting rid of belly fat. For example, some people have a strict mind-set enabling them adhere to healthy choices at every turn. Other’s have a defeatist mind-set that gives up hope far too quickly. Then there are also those who have a loose mind-set that breaks the rules for any excuse at the moment. Lastly, there are the procrastinating mind-sets that keep putting off their plans for losing belly fat for some later date that never comes. In my practice I’ve seen them all, and before I can help, I have to change the mind-set of the person I’m working with. Your mind-set is the most important factor that determines your success at burning belly fat. Changing their mind-set is not the same as convincing them to change. As I have said many times before in other articles, you have to want to lose belly fat first… then learn to change your mind-set towards it. Ideally I would love to convince everyone to be in good shape/health, but I have to back off when I am met with resistance. I can’t argue with a fixed mind-set. However if you are reading this article, chances are you are ready to change your mind-set so you can finally achieve your goal. Catch yourself making excuses. Find out what those excuses are and then write down a solution that fixes the problem. Tweak your routine by 5 or 10 minutes here and there to get organized to set your day in motion for eating right and exercising. Examples would be picking out your food and work-out clothes the night before having them ready for the next day. When you can’t manage to eat right or work-out for a day, jump right back on your fitness plan without delay. Don’t let 1 day turn into 3 or 4 days, then weeks, and so on. Pay attention to things you do during the day that drain a lot of time… time you could be spending preparing food or working-out. Day by day inch closer to perfecting your routine until it becomes easy for you to get your work-out in. If waking up in the morning is hard for you, wake up 10 minutes earlier every day until you get to the wake-up time you need to be able to work-out and prepare food. If having healthy food with you is hard, start preparing just one small snack, like carrots or celery so you at least get some veggies in your diet. Once that becomes routine, move onto making an entire salad or dish. After a hard work-out take care of your body. Don’t let soreness or fatigue make you give up. For example, massage your sore spots, take a hot bath, or take a pain reliever if it’s okay with your doctor. Get plenty of rest and drink plenty of water. In summary, once you get on track, have a strict-mind set where you no longer accept your own excuses. Don’t delay or give up. Just keep going back to your routine even if you can’t manage to stay on track for one or two days. Unexpected things come up for all of us, but what separates those who are fit from others, is their willingness and determination to stay on track. Get in the fat burning zone! Eat foods that help burn fat! Manage food cues and cravings! i drive my car goin 2 work but then i realized i had no exercise at all cause i only walk a few steps & then take the elevator to my office..
i need some more sleep..
i really need 2 follow these and get some sleep, yeah enough sleep! oooh i need this for my summer escapades! will sure follow ur advice, need to lose this belly fat 4d summer!! wow, great approach on losing fat i luv it!! Wow this is the best guide I’ve found so far… real science, real studies and explained in a way I can actually understand. Thank you!